Travel more comfortably with our "A La Carte seating" option. This paid service allows you to reserve the seat of your choice in advance, up to 5 hours prior to departure. 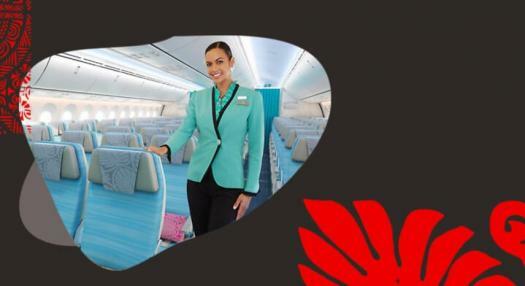 A La Carte seating is only available on flights operated by Air Tahiti Nui. 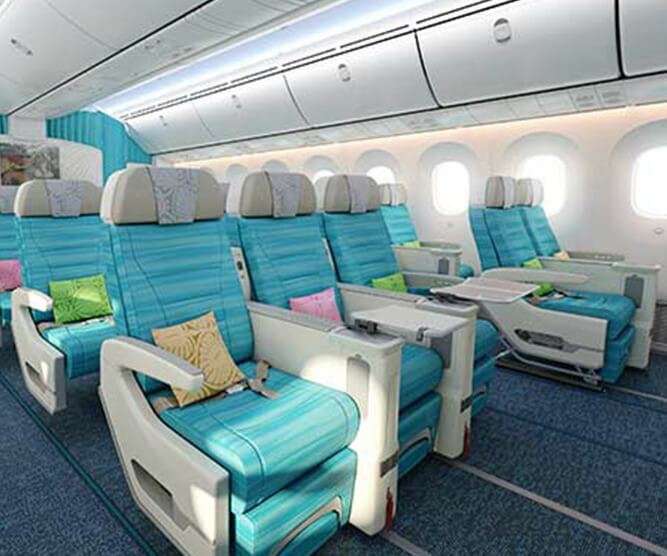 Our Extra Comfort seats are located in the first row of our Moana Economy cabins or in the exit rows. They offer additional leg room. 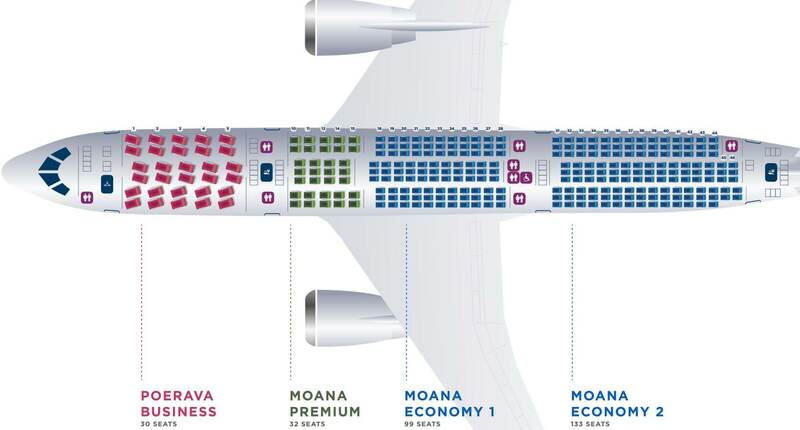 Our Preference seats are located on both sides of the plane in Moana Economy class. You might choose to enjoy a window seat or direct aisle access, or simply ensure that you are seated next to a friend or family member. In case of emergency evacuation: Have enough mobility, strength and dexterity in both arms, both hands and both legs to assist the crew and the other passengers. If a seat is reserved by a passenger who does not meet the safety requirements listed above, Air Tahiti Nui reserves the right to change his/her seat reservation and the service will not be refunded. When and where should you reserve an A La Carte seat? - On our website up to 48 hours before your flight or during your web check-in up to 5 hours before your flight, in which case the payment must be made immediately. This service cannot be modified, and is good only for the flight, itinerary and date reserved. The service is reserved under the passenger's name, and cannot be transferred to a third party. - You cancel your flight and your ticket is refundable. Passengers who have made separate reservations but wish to be seated next to each other must make their seat reservations separately. To maintain confidentiality, Air Tahiti Nui cannot under any circumstances reveal the location of another person's pre-reserved seat. Reserving a Preference seat is free for our Club Tiare GOLD customers. Reserving a Preference seat is free for passengers with reduced mobility.